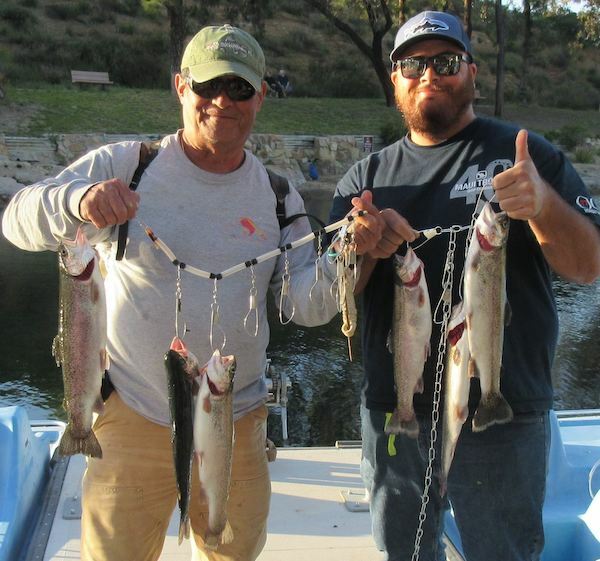 Les and John Crine caught 4 Tailwalkers this weekend. They were trolling night crawlers slow and deep in the middle of the lake. 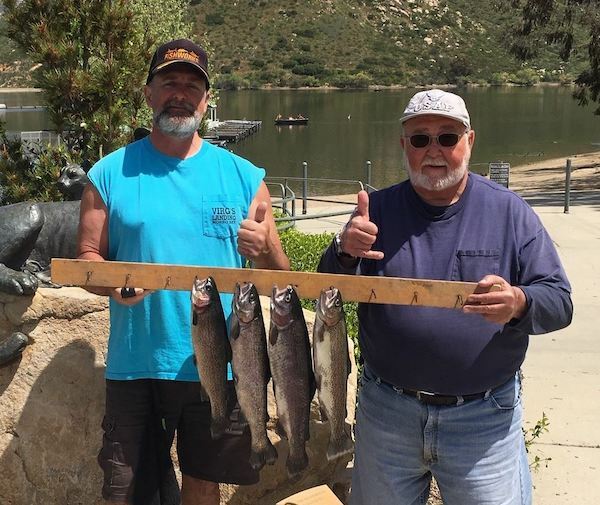 Les and John are Lake Poway regulars and they know how to get the Tailwalkers to bite. 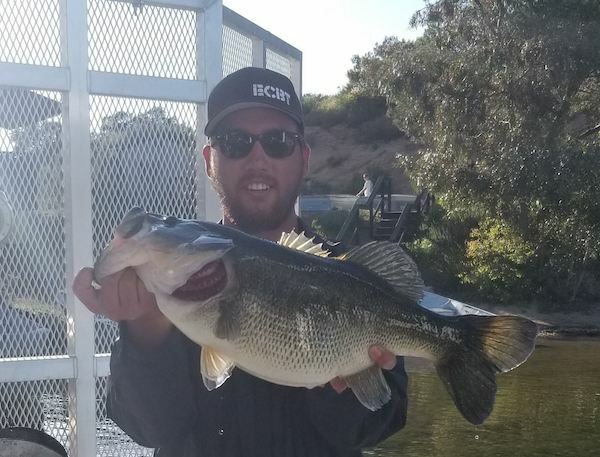 The bass bite is still going strong, with swimbaits and plastic worms having the most success. Once again please release spawning bass, we do not stock bass so the only way to maintain the population is to allow them to spawn. Final stock: April 24th, 1,000 pounds of Tailwalkers. Stocking schedule subject to change.